"The Philadelphia Phillies scored four runs in the first inning and four runs in the ninth inning, but still found a way to lose the game; Chad Durbin and--gasp!--Cole Hamels spotted at the scene of the crime." 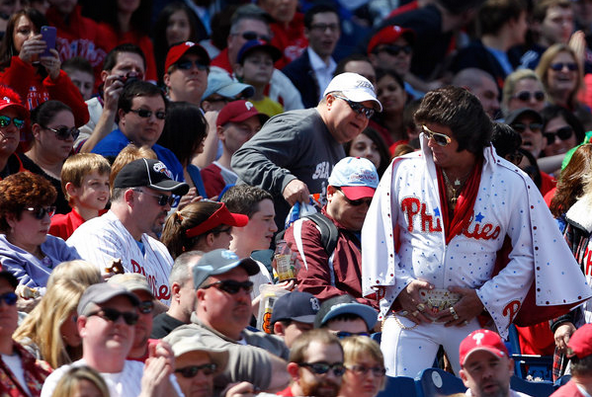 Elvis has left the bank, and so has an effective Hamels, a slugging Howard, and an intelligent G.M. Watch tonight as Roy turns it around and pitches a masterpiece.